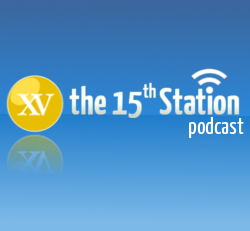 It’s hard to believe it’s almost Lent, but Lucy, Don, James and Gavin have got their penance in early with the latest jam-packed episode of The 15th Station. Pope Francis weeks-long unpacking of families in today’s world features prominently, with his comments that couples who choose not to have children are selfish and his green light for fathers to smack their kids causing a double stir. A Vatican document that suggested elective cosmetic surgery was a “burqa of the flesh” also raised eyebrows. Back in New Zealand, there are fears Mass in Maori — the language of indigenous New Zealanders — may die out, and there’s also anger at the inclusion of an offensive t-shirt in a museum exhibition. Can a 20-minute homily fix it? Find out in this month’s show. The Synod on the Family — or Part 1 of the Synod, at least — has continued to dominate headlines in the Church, including in New Zealand, where the lone Archbishop, Wellington’s John Dew, continues to be a strong proponent of changes to the pastoral care of Catholics who have divorced and remarried. Don, James and Gavin pick up the conversation on the controversial topic, and also discuss the unrest among some senior bishops and cardinals, as well as the allegedly groundbreaking moment of a Pope saying evolution might be real! Quelle horreur! There’s also the actually groundbreaking comments of Prince Charles on persecuted Christians and the latest “Jesus was married” conspiracy. Enjoy the show — and if you do, why not invite a friend to listen too? Pope Francis continues to dominate headlines around the world — and discussion on the Station 15 podcast network — with his naming as Time’s Person of the Year and the release of his apostolic exhortation Evangelii Gaudium. The Church in New Zealand has also been in the news, with the release of Census data about religious affiliation showing Catholics the largest Christian denomination for the first time as “no religion” continues to soar ahead, and the NZ bishops calling for people to be mindful of their attitude at Christmas, with love of neighbour taking precedence over consumerism. There’s also a bit of fun around Pope Francis’s other end-of-year awards. Happy Christmas from the team at The 15th Station.  The magic of the Internet brings Don, James and Gavin together for this month’s episode of The 15th Station, in which the papal butler’s conviction, the sale of a Catholic school to a Muslim education trust and the German bishops’ ruling that Catholics who stop paying a Church tax can’t receive the sacraments all get a run. That story has us a bit stumped, so this blog post (or this one) can offer a more learned exposition of the situation. We also chat about the changing religious landscape in Auckland, New Zealand’s largest city, and revisit the evolving story of the fresco restoration fail.